Every time I go food court and those old uncle auntie having to clear my table, my heart feels bad. At that age, they should be retired and enjoying their life. Then again, some may not have the privilege of blissful retirement. If the operators continue to employ them and our simple act of tray return can lessen their workloads, I have no qualms doing that. But the problem is, the management who's making the hiring decisions have a policy in place. If they see workers relaxing, then they will assume that there's not enough workload to distribute among the workers. Then some workers will lose their job. That's why, at some places, the aunties or uncles are very eager when it comes to clearing tables. Sometimes they do it even though you are still eating. I talked to a couple of cleaners before and was told that if they were seen to be relaxing in one corner instead of bustling about the place, they could lose their job. Bird got scared by the robot? No tray in the tray robot. It's not a management problem is it? I don't think companies are responsible for giving workers a job even though there is no work to be done. Personally, I never ever clear my own plates or trays so the cleaners will have a job. How much does it really cost to have a cleaner do that job? 5c? I'm willing to pay that. It is not about the money or job. It is about your social etiquette. And because of the people like us, cleaners jobs are less siong. i ordered the lor mee and then proceeded to sit at the table near the drop of the roof. as i was eating i noticed a lot of birds were sitting on the horizontal bars and beams at the ceiling waiting for their "turn to eat" ... and as one couple left their table, the whole flock attacked the leftovers ! so when i was done, i deprived the birds of their snack by quickly bringing my tray to the return shelf. but the birds were not about to be beaten as a two went after my tray in the return shelf ... but too bad for them ... i had already cleaned out every last drop of gravy in my bowl !! anyway, i observed that if the eateries do not have any thing for the birds to rest on (eg horizontal bars/beams), it might help to reduce the numbers of birds "waiting" at the eateries. There is a need to inculcate the next generation starting from the basic. If not, another 5k years and we will still be in square one. Easy to say it ain't about money or job because it isn't your job on the line. Do you clear your own plates at a restaurant? Next time can consider cooking for yourself too. Yes, if there is one fellow like you, the cleaner's job will surely be less siong. If there are thousands like you, you won't see the cleaner there anymore. I got this idea that tray return would put old aunties and uncles out of jobs, benefit greedy operators and with no savings will be passed to consumers. Though I always clean up when I know someone is actively waiting for my table. Otherwise I am not for tray return for now. The old aunties and uncles are only working because they really need the money. I don't think at their age they are doing this kind of jobs for fun. So as soon as people start returning their trays they will be retrenched. Then they won't even have a chance to earn some money. For me in my old age I already have it all planned out. place and then the fishy place. Please support me and don't clear your trays. Leave a big mess is also ok, more OT for me. People in Taiwan, Korea and Japan also clear their own stuff. What do their old people do then ? They do other stuff. That doesnt mean they would be jobless. When I go to hawker centers, I wish the previous table occupants would clear their trays so that I can use the table straight away. I clear my tray because I think it is rude to let the other party see the leftovers I have eaten or worse still, clear for me. Do you see old uncles and aunties clearing plates at the restaurants or is that in the job design of the waiter/ess? Edited by Davidtkl, 06 November 2018 - 02:57 PM. Look. People in Taiwan, Korea and Japan also clear their own stuff. What do their old people do then ? They do other stuff. That doesnt mean they would be jobless. What are old ppl doing in Taiwan, Korea and Japan doing? They become service or kitchen staff. Duh. Definitely better than clearing food trays with tissue paper and food people chewed and spit out. but in countries with no welfare for old people they have to work. 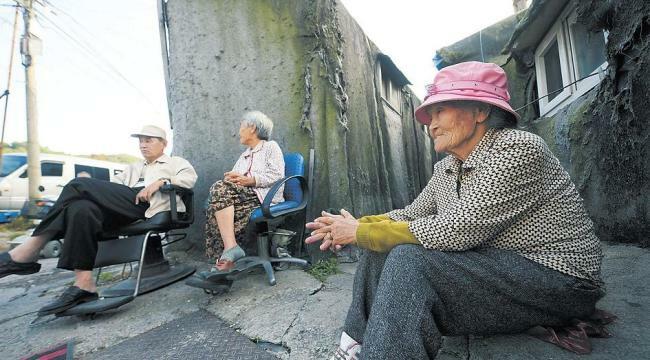 In Korea the old grannies have no money and have to work as prostitutes. Edited by Jamesc, 06 November 2018 - 03:02 PM. Please don't clear your own trays. I don't think anyone wants to see that. more old people like me. We want jobs not charity. Why they do cleaning works at HC? And when you see me please make a big mess. the mess. So tiring you know, so hard work. Should give me a pay rise.